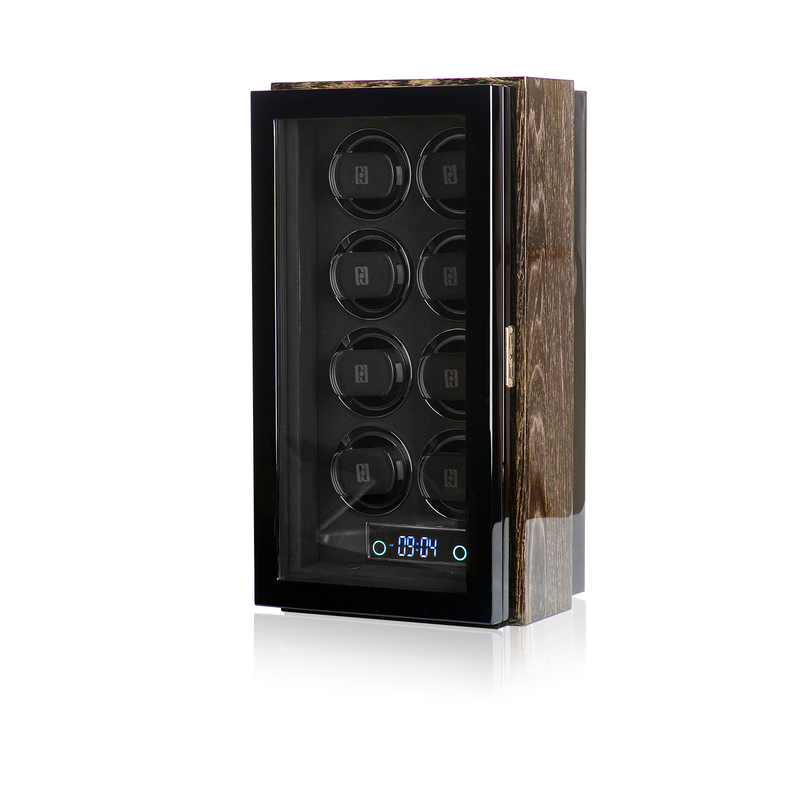 An automatic watch winder for 8 watches , LCD touchscreen control, LED backlight and remote control unit by Paul Design. Color: Black; Exterior style: Wood; Outer finish: Multi-layer high-gloss piano lacquer; Interior lining: Velvet; Interior color: Black; Power adapter included. Warranty: 12 months. Maximum watch diameter: 2.6 inches. Additional options: LCD display; Touchscreen control; Remote control; Telescopic watch holder; LED interior backlight; Glass lid; Product size: 20.4 x 8.5 x 10.8 inches; Package dimensions: 12.6 x 14.4 x 23.8 inches; Product weight: 21.6 lbs; Package weight: 30.7 lbs.